Meet us again at the 2nd Middle East Psychological Association Conference & Expo in Dubai! 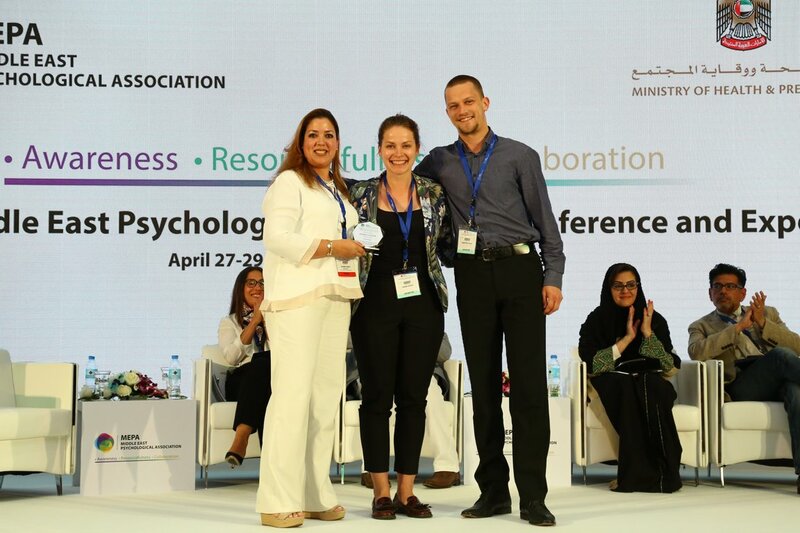 Viennese had an honor to take part in this historical event of psychology – the 1st Middle East Psychological Association Conference. Meet you at the 1st Middle East Psychological Association Conference in Dubai! 124th Annual APA Convention has been a great experience for us so far. We have met lots of people that are interested in our approach – putting psychological ideas into game mechanisms. Also one of the most well know psychologists of all times Philip Zimbardo visited our booth to see the games. Yay! American Psychological Association has posted a video on their Facebook page about our psychological board games! If you are interested, please watch the video how our colleague Martins is explaining the concept and some game rules. Meet us at APA Annual Convention again this August! Viennese is taking part as an exhibitor at APA Convention for the 2nd time. This year we welcome you in Denver, Colorado. If you want to know more about our games, check out how they look like and to chat with our team members, please visit our booth No 221! If you would like to arrange a meeting, let us know by e-mail daina@viennese.org! We are happy to announce that Viennese is going to attend 31st International Congress of Psychology that takes place in Yokohama, Japan, 24-29 July. You can meet us at out booth No C03 at PACIFICO Yokohama Convention Hall (Address: 1-1-1, Minato Mirai, Nishi-ku, Yokohama, Japan).